Our 2016 Paris in July Blogging event is less than a week from commencing, and I'm really excited about how many people have signed up already. Deb has kindly produced these wonderful buttons for us to use this year. I think they capture the essence of the blogging event - the Eiffel tower is the quintessential reminder of all things Parisian, and this beautiful sculpture reminds us of the wonderful arts, literature and thinking that comes out of Paris. Thanks Deb! If you haven't yet signed in and want to - please check in here. While I'm away abit in the next week - I'll try to set up a Paris in July Participants roll on the side of my blog. I've also had one volunteer to assist with providing a Paris in July weekly summary, and I'm open to others. The idea is that at the end of the week we just post a simple summary of the types of things people have been posting. It's a simple way to stay connected and inspired. I will also be posting the weekly sign in Mr Linkys. 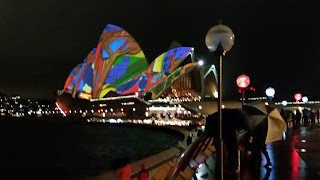 For me, I haven't yet decided my blogging projects - books, movies, food or something different... but I can share with you I'm going for a weeks holiday to Australia's nearest Paris - We're going to Numea and Les Iles des Pins. I'mm sure there's going to be some french markets, restarants, and all sorts of frenchy stuff.. I'm very much looking forward to that week away. If anyone has any recommended lightist french novels, I'm open for suggestions. There'll be some beachside/poolside reading in Numea! 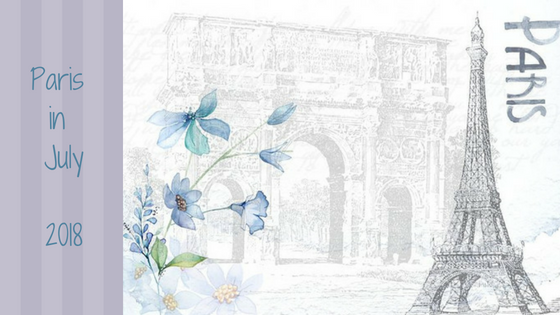 Do you think Victor Hugo would be thinking about Paris in July right now? 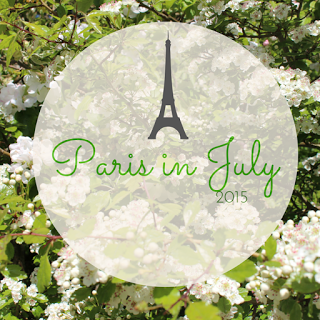 Paris in July is an annual blogging event, for bloggers who love all things Paris. This is our 7th year and we're looking forward to another fantastic July.... Check out last years welcome post for some ideas on what you might like to do... Also, you can follow this link to last years wrap up post to see what others did.. 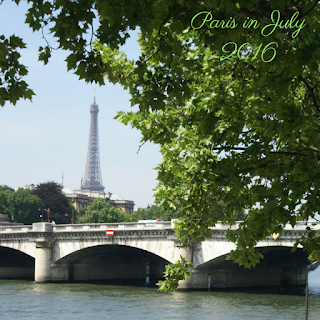 This year, you'll be invited to link your Paris in July Posts through Mr Linky's that will be posted each week here at Thyme-for-Tea. A couple of other bloggers will also be involved by providing weekly summaries of Paris in July Activities - and I'll make sure there's a link to their posts when they're up. Comment below if you have aspirations or link up now. I'll try and maintain a participants list here on my front page to make it easier to connect.. If anyone would like to prepare a Paris in July 2016 button please do so as I dont have the skills. Share it through Mt Linky. I wrote this summary post last year, which still today, rings true for me and Paris in July. When I re-read this, I am energised again. However, I am a strong advocate for women to be conscious of not becoming over committed due to 'obligations ', and perceived 'responsibility', so I must listen to myself on that one too. So, what about Paris in July 2016? I will host it. It will be about bringing together a community of Paris loving bloggers. 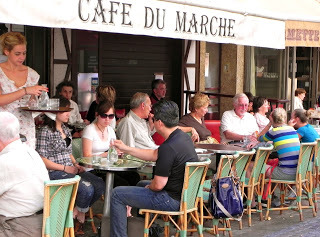 I will make this a place for you to come to post your links to your Paris in July posts. I'll post a few myself.. but it'll be a simple affair. I plan to post the sign up Mr Linky page on June 22nd so we can all see who's joining in. Then each week, hopefully on a Friday, I'll post new Mr Linkys for you to link your new posts. I'd invite any of the participants to offer to write a summary review of one of the weeks in July. The idea of this is to capture the highlights of all Paris in July posts for that period. If you'd like to do one of these, drop me an email. (My address is in my 'about me' tab). 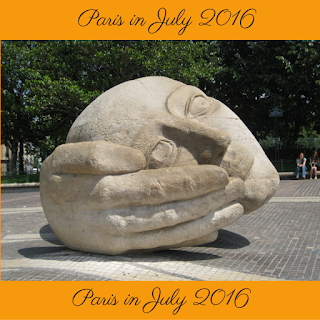 So, with much anticipation, I now declare Paris in July 2016, the annual blogging event for lovers of all things Paris, will be happening. Winter is settling in, the rain is falling, the heater's on, and we've experienced some of the worst winter can offer this past weekend. It's going to be another week where I cant really get on my bike and cant really spend time in the garden. 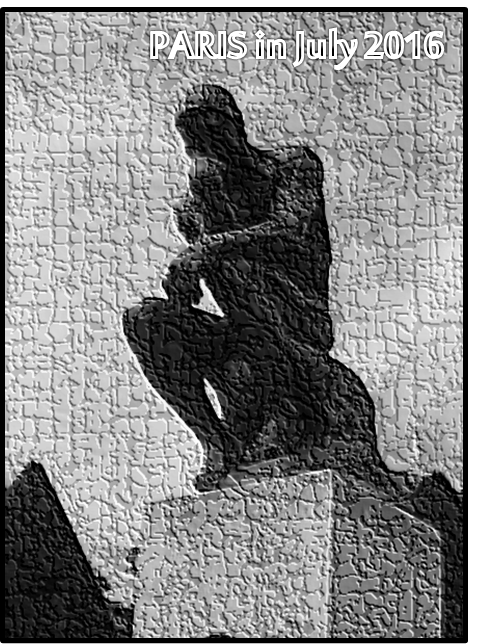 So, it's time for a little review of my reading journey over the past few months... it's a sad story, but I feel telling it will help me move on. 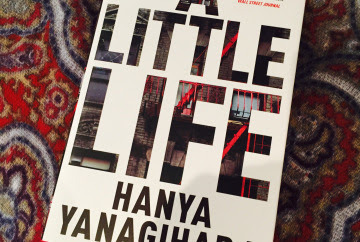 I've been trying to read 'A Little Life' by Hanya Yanagihara. I had great intentions to read this because it had some great reviews, it was short listed for the Man Brooker Prize. I downloaded it onto my Kindle and started reading. I felt like I was getting into it, and each week tried to read a little bit more. My kindle said I was progressing in 5% increments. It wasn't really engaging me, probably becuase I wasn't reading it consistently. Then on the train one day, I noticed someone reading the real book. It's HUGE! I would never have chosen that off the shelf. Anyway, I woke up this week to realise it's June, and I've been trying to read this book for 6 months! As a wise friend (or many) has said, you dont have to finish every book. So I'm not going to. Has anyone else read the book? Was it good? I've got two other books on the go, and I'm enjoying them. Helen Garner's "Everywhere I Look" - it's a collection of essays,diary entries and true stories spanning more than 15 yearsof the work of one of Australia's greatest writers. 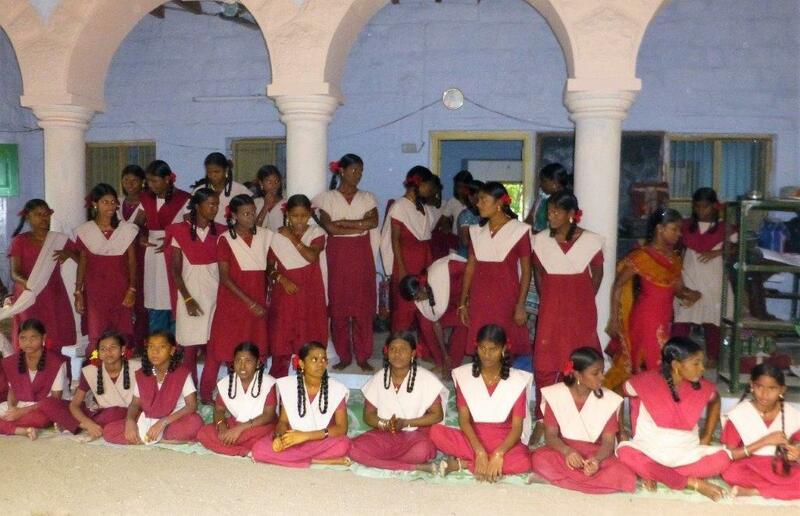 and "Walking Towards Ourselves: Indian Women Tell Their Stories" edited by Catriona Mitchell. Reaching across different strata of society, religion and language, this anthology creates a kaleidescopeof distinct and varied real life stories. 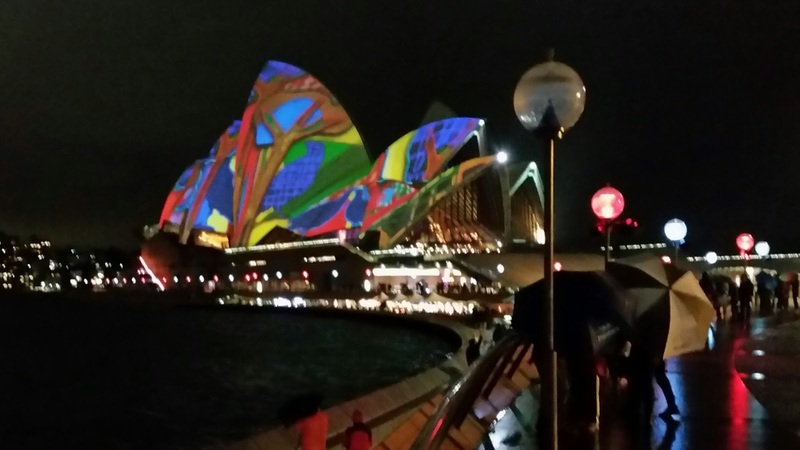 Just for something beautiful, here's the sydney opera house in lights for the vivid festival. We went in the midst of the storm but it was still beautiful.